Home / Top Stories / Epic Editorials / What Motorcycle Will I Be Riding in 5 Years? This question jumped into my mind at 5 AM. So much for getting any sleep tonight. Think about your motorcycle. Now think about your dream motorcycle. Now look back at your motorcycle. It’s not your dream bike, is it? Maybe you don’t even have a dream motorcycle. Maybe you have a list of a few you’d really. I know I do. I’ve been riding for 6 years now. In that short time I’ve owned 11 motorcycles or scooters. I’ve owned everything from a stable of midsize cruises, to a heavily modified 1990 Honda Hawk GT650 N, to a couple two-stroke scooters. I’m still trying to get it right, but along the way I’m learning what I like, what I dislike, what I keep coming back to, and why. I’m 25 years old. The bank and I own a lovely condo. I also own a Suzuki Marauder VZ800, a KYMCO Venox 250, a Piaggio Fly 150, and a really cute dog. I’ve worked in the motorcycle industry. I’ve tested some beautiful and exotic machines and some new machines, but I’ve never bought one of them. What’s stopping you from getting the “dream motorcycle”? As far as finances go, I live comfortably with a healthy cash flow. I never have a problem paying the bills, and at the end of each month the bank statement looks a little nicer than the last one did. Money’s alright, but it’s far from a lot. My condo is small and not very close to work. I live (and play) responsibly within my budget. How ’bout you? What are your biggest motorcycle associated costs? For me, insurance costs used to be a huge issue. When I first bought a 250cc my insurance was roughly $1,400 per year. Now for about $100 I insure that same 250cc, plus an 800cc cruiser. Grey hair aside, it looks like getting older isn’t all doom and gloom. Can I stay 25 forever? The truth is that while I’m financially OK, I’m in no person to be purchasing a five-figure motorcycle. Hopefully that will change in the next year. My mentality is “What good is money if not for buying motorcycles?” but I have a few other expensive plans first. My next point of concern are my needs. As in… does anyone really need a 1,400cc motorcycle? Cruiser riders, hush, your 85 cubic inches of chrome can’t keep up with a Japanese inline 4 engine with 2/3 of your displacement. I’m averaging it out here. When I see a Triumph Rocket 3 bombing down the road downtown I take one look at the guy and feel sorry for his wife. Someone is doing some serious overcompensating. What do you need from your motorcycle? I’ve flirted with the idea of a street bike. I had a brief stint with my Hawk GT650 N and with an old ’79 Honda CB650. Mostly I keep coming back to cruisers because they’re comfy, have attitude, they’re what I learned to ride on so to me they handle just fine, and they’re great for carrying gear and/or really cute women. Fun Fact: I secretly refer to my KYMCO Venox 250 as The Cherry Popper. She’s given over a dozen young (and older) women their first motorcycle ride. Life’s good, am I right? Fun Fact #2: I originally got into motorcycling wanting to ride a 1988 Honda CBR600 F1 Hurricane. That was my dream bike when I was a teen. I would love to own a supersport, classic or modern, but right now the practical part of me just doesn’t see it as sensible. I’m governed by a bang-for-buck ratio of what I can afford to ride based on what makes sense. Aren’t we all? There are plenty of variables in that equation though. Things change quickly when you’re young. My ratio might be one of them. Where’s yours at? The most I’ve ever spent on a motorcycle was $6,400 taxes included. The second most was $5,000 taxes included. 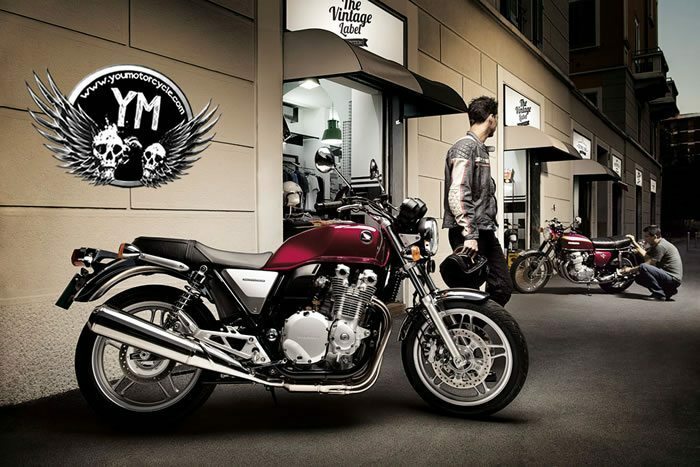 Do you know what your dream motorcycle is? It’s now 6:30 AM. I’ve been up writing this for an hour and a half. I’m nowhere near closer to knowing what I’ll be riding in 5 years. How’s that for anticlimactic? We’ll find out in time. Maybe it’ll be electric! …Nah! What are you currently riding and what do you see yourself riding in 5 years? Leave your comments below! I’m currently riding my ’06 MT-01 (cool that it’s on your list)…I might have this one for a long time as it was my dream bike and is now just my bike! Gotta live the dream while I still got my youth! Ride safe bud! I’m riding an ’07 Suzuki Blvd M50. I bought it to beat the rising gas prices here in the U.S. (Southern Cal) and I’ll be damned if I don’t look forward to my commute just so i can ride her to and from work. In five years, I’m looking at retiring or being near the end of my first career. I think a big bagger would be great for the wife and I. Those new Honda FB6s sure are nice looking. Smart decision. I commute on a 250 to work and back and leave the bigger V-Twin for the rest of my riding. I started with 8 years of small 2-stroke dirtbikes, then rode a 650cc Yamaha parallel twin from 1980 to 1985. I now have a 2008 Kawasaki ZZR600 sport-tourer and a 2002 Honda VLX 600cc cruiser. I plan to keep both more than 5 years. 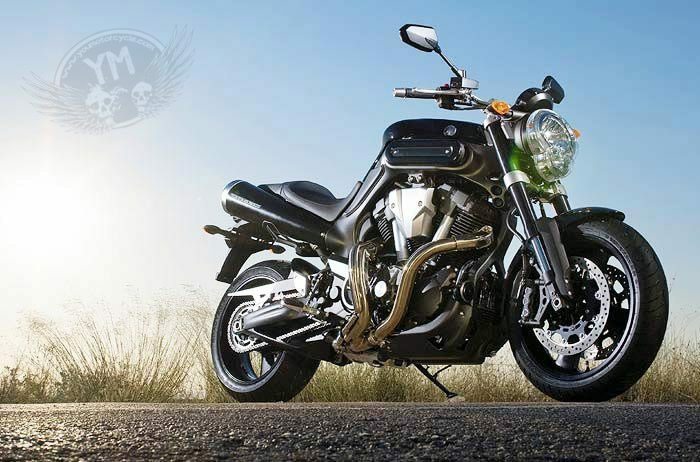 The new Yamaha FZ-09 (that replaces the FZ8) and the new Indian interest me, but I will probably buy a new car instead in the next few years. Hey Jeff, loved the FZ8. I haven’t seen the 09 yet though. Neat that you have two different types of bikes. Makes a lot of sense.